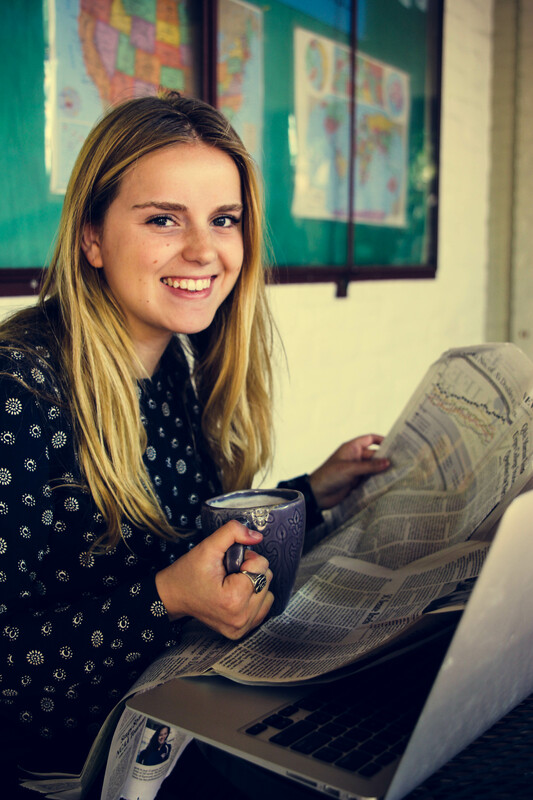 As the oldest college newspaper in Southern California, The Student Life (TSL) provides The Claremont Colleges with breaking news stories and updates on a weekly basis. But this year, the publication created its own headlines by naming Julia Thomas ’17 its chief editor – the first Scripps student selected for the job in the paper’s 126-year history. Now in her third semester at the student-run newspaper, Thomas says she is surprised at how quickly she rose through the ranks to earn the spot as top editor her sophomore year. “If you had told me a year ago that I was going to be editor-in-chief, I would not have believed you,” she says. Writing and editing stories is nothing new for Thomas. As a young girl, she developed a penchant for storytelling after reading the children’s novel Harriet the Spy. In high school, she wanted to find new ways to apply her love for creative writing to the real world, so she joined the staff of her high school newspaper and held editor positions in her final two years. “The process of finding important stories and thinking about how to tell them in meaningful ways remains what I love most about journalism,” Thomas says. “I like the fact that it is fast-paced. I’ve also grown to love the late nights spent in the TSL office with kooky people. “TSL has been one of the most defining experiences and things I love most about being at the 5Cs,” adds Thomas, whose tenure as editor-in-chief ends this semester. As the paper’s content varies from week to week, much of her time is spent working collaboratively to unite the many different elements of the paper into a final product. While considering a major at Scripps, she weighed her options carefully and kept an open mind. Thomas ultimately chose history and believes she has grown to become a more versatile and well-rounded writer as a result. Juggling both the paper and academics presents its share of challenges, but Thomas’ hard work and dedication have come through despite the big changes she rolled out this semester at TSL. With developments in the works for TSL, Thomas also thinks ahead with her own career plans. She harbored aspirations to work as a reporter for a news organization or magazine, but now she admits that she enjoys writing about the environment and other academic topics, in addition to investigative journalism pieces. This summer, she will take her first foray into magazine writing after landing an internship at Marie Claire in Manhattan. Thomas recently received a Scripps Internship Grant that will help her financially at her summer internship.